The project is an extension of ‘Station to Station’, 2013, a train journey across North America with a group of artists and performers who installed ‘happenings’ in big cities and off-the-grid locations along the 24-day coast-to-coast route from the Atlantic to the Pacific. 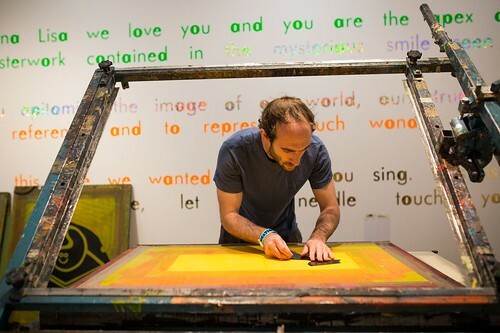 Artist Oli Fowler manning the screen-printing bed in the Fraser Muggeridge and Friends design residency space. 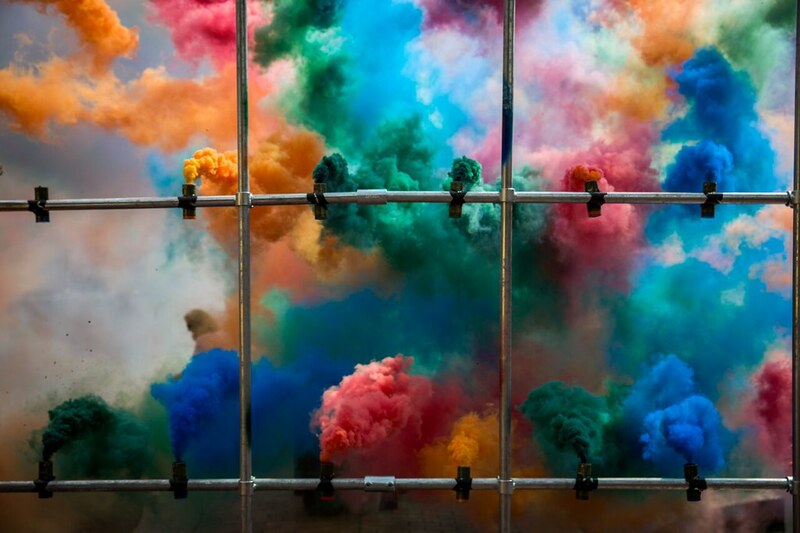 Top: Olaf Breuning’s coloured smoke. ©Getty Images. 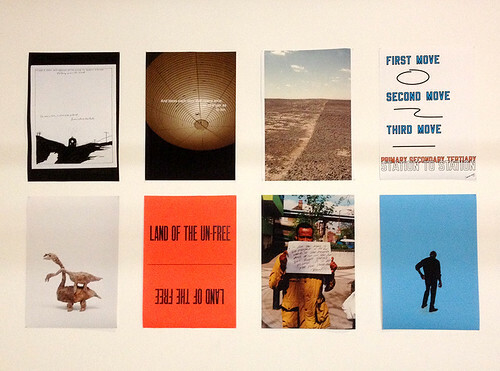 Test prints, proofs and experimental printing on the walls of the design residency space. At the Barbican, the project’s programme is such that no two days are the same and visitors can enjoy most of the happenings free of charge. 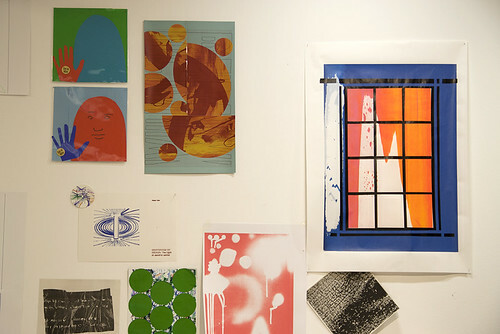 The first of two design residencies at ‘Station to Station’ was Fraser Muggeridge Studio and invited guests who printed more than 2000 album covers in the Inky Lab with Mona Lisa as their design muse. 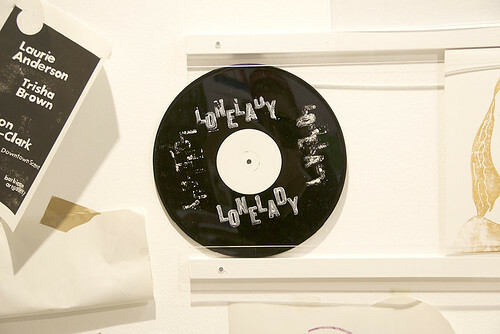 Some of the albums were pre-recorded, others were recorded and pressed in the on-site Vinyl Factory Press for sale as part of the exhibition. The design residency space has since been taken over by Åbäke. 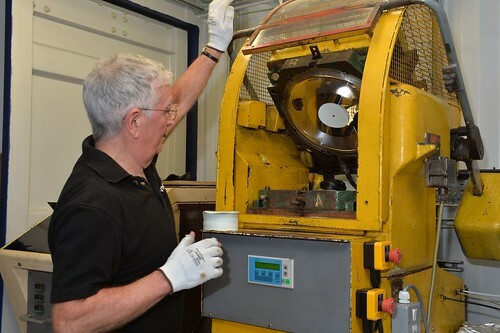 The Vinyl Factory Press. © Getty Images. Other residencies include artist Marcus Coates, who is asking visitors to pose questions to which he selectively responds in painting. Those whose questions are selected will be invited to return to ‘Station to Station’ to speak to Coates about his response. 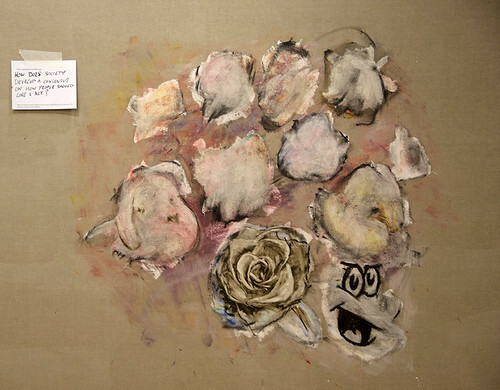 Artist Marcus Coates’s response to the question: How does society develop a consensus on how people should live and act? 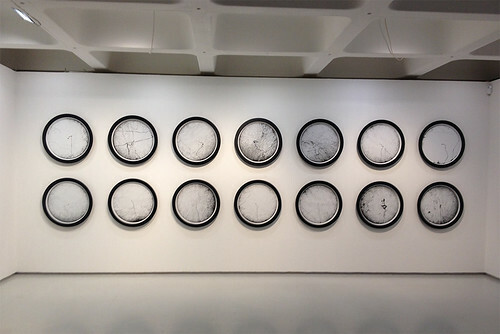 Artist Olafur Eliasson is showing a kinetic drawing machine he designed for the exhibition, alongside a series of fourteen circular black-and-white works entitled Connecting cross country with a line, each with a map-like quality, that were created on another kinetic machine that used the movement of the train locomotive travelling across the 2013 leg of Aitken’s project to generate the imagery. Olafur Eliasson, Connecting cross country with a line. Olafur Eliasson, detail of Connecting cross country with a line. 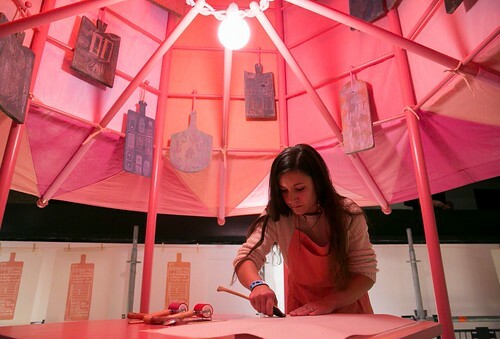 Tal R is doing live wood block printing, exclusively using magenta ink, in her Rosa Pagoda studio space above the poster project which includes specially commissioned posters by Scott King, Raymond Pettibon, Fiona Banner, Bob and Roberta Smith and Lawrence Weiner (among others) on the themes of ‘free’ and ‘freedom’. Weiner is also showing an installation entitled FIRST MOVE SECOND MOVE THIRD MOVE PRIMARY SECONDARY TERTIARY STATION TO STATION in the gallery’s entrance hall. Tal R printing in the Rosa Pagoda studio. © Getty Images. Posters by Raymond Petiibon, Martin Boyce, Richard Long, Lawrence Weiner, Francis Upritchard, Ruth Ewan with pupils from Meadows Primary School and Gillian Wearing. 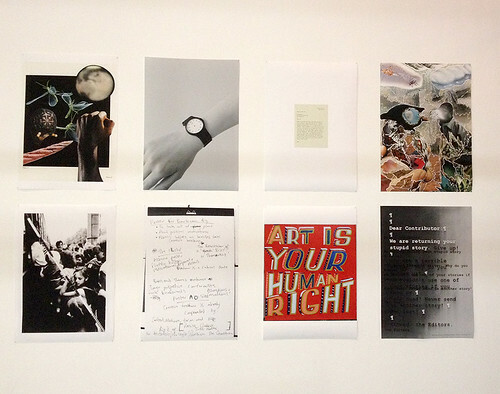 Hisham Akira Bharoocha, Margaret Salmon, Scott King, Hisham Akira Bharoocha, Jane and Louise Wilson, Ryan Gander, Bob and Roberta Smith, and Fiona Banner. 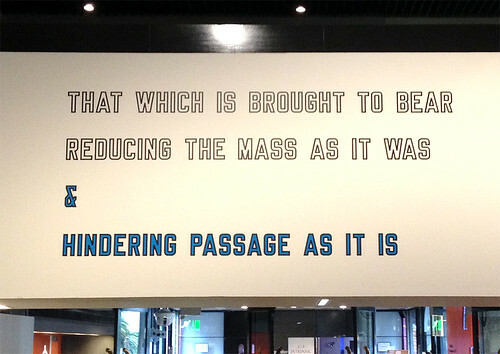 Lawrence Weiner, FIRST MOVE SECOND MOVE THIRD MOVE PRIMARY SECONDARY TERTIARY STATION TO STATION, 2015. South London’s Siobhan Davies Dance company was the first of two dance residencies in the gallery and hosted talks with guest speakers as well as occasional live performances. New Movement Collective began their dance residency on 18 July (see ‘Dance, light and architecture’ on the Eye blog) with a new work – in collaboration with cellist Oliver Coates and ScanLAB Projects – inspired by life cycles, archeology and new technology. 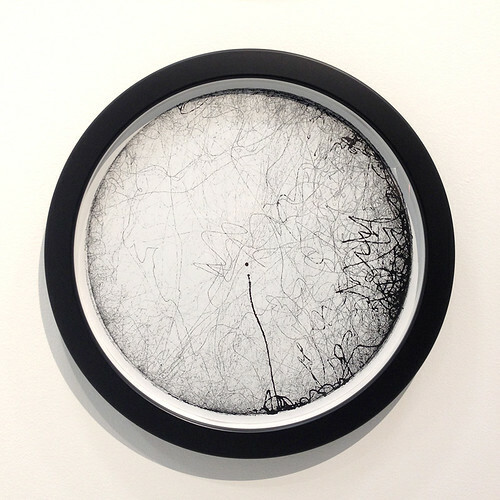 ‘Station to Station: A 30 Day Happening’ continues until 26 July 2015 at the Barbican, London. 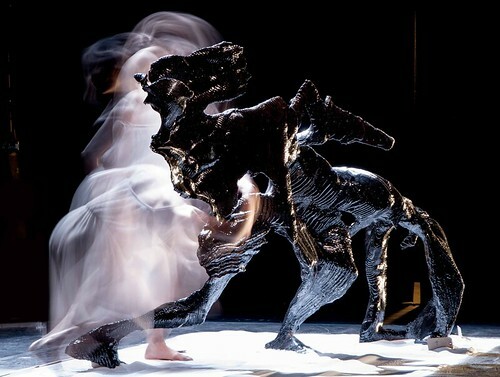 Dancer Clemme Sveaas from New Movement Collective photographed by Matthew Shaw of ScanLAB Projects.